As a holistic platform for event management, Bizzabo relies on video to power every part of their business, from marketing to company culture and beyond. Even in today’s video-saturated business culture, it’s rare to see a company that uses video effectively in almost every way possible. But Bizzabo is different. Video has been their mainstay, whether it’s for tutorials, product demos, customer testimonials, or content promotion. And with offices in New York and Tel Aviv, the company looks to video as a way to boost company culture and morale. “I think (video) is very much aligned with who we are as a company,” said Tom Shelly, Product Marketing Director at Bizzabo. “We’re an event management platform, so we believe in the power of engagement and community.” For Tom and everyone else at Bizzabo, that’s exactly what video offers. Just 2 years ago, video was pretty much an afterthought at Bizzabo. So when Tom joined the team around that time, she wanted to start incorporating video into their product marketing strategy. Within a year, video was adopted by the entire marketing team, and soon the Wistia hosting platform came into play. “It’s very clear for us at this point that video has to be part of any marketing campaign we’re doing,” Tom said. Any time the Bizzabo team is working to create a marketing campaign, it’s almost always going to include a video aspect, along with more typical components like a launch email, blog post, and webinar. According to Tom, video is the main element that makes people click and engage with their content more than any other. As the company has continued to grow, so has their usage of video. Initially, Tom was in charge of video production, periodically enlisting the help of a few freelancers. But because every team within the company — from marketing to HR — is thinking about videos they need, the company now has a full-time video producer they can turn to. “Now that everyone is taking part (in video), I’m no longer the only person who’s doing it, and that’s how it should be,” Tom said. For Brandon Rafalson, Content Marketing Strategist at Bizzabo, video gives a distinct advantage because it’s the best way to show who the company is, and what they do. “We view video as an opportunity to connect with our audience, but it’s rare that you see other companies in our space doing that,” he said. But producing eye-catching videos that promote who you are and what you offer can only get you so far. Enter Wistia analytics and integrations, which Tom and Brandon often look to in order to get a better idea of how their videos are performing and what they can improve on. “We’re asking ourselves things like, ‘Where should we put the video so that it performs better?’ and ‘Where are people dropping off?’” Tom said. From a demand generation perspective, Brandon likes to duplicate certain videos, then see where they perform better based on the platforms on which they’re posted. Bizzabo turns to the Wistia-HubSpot integration when they need to know if a particular person has watched a video, particularly for internal training purposes. “It’s important for us to see how long someone has been watching or if they’ve dropped off at a certain point,” Tom said. 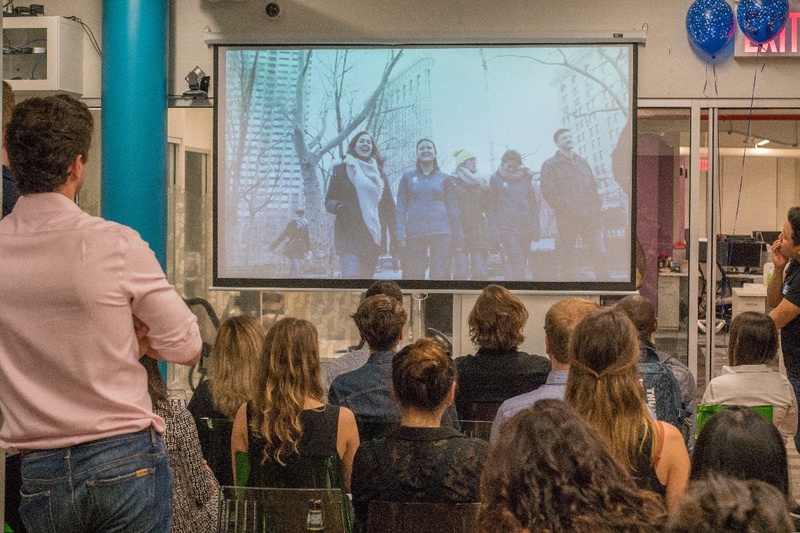 Thanks to Soapbox, creating video is now something every Bizzabo employee can do easily. And the ability to export Soapbox videos to Wistia has provided a huge boost. “You could easily make a Soapbox video for almost every interaction you have, and it’d add value,” Brandon said. For instance, he’s started making Soapbox videos as a quick way to say “thank you” to people at other companies who’ve contributed to Bizzabo blog posts. “Choosing specific cases to wow people with a personal video feels more genuine that simply sending an email,” he said. Soapbox has also helped Bizzabo source user-generated video content from across the company. Inspired by the Febbies, Wistia’s month-long focus on delighting customers with video, Brandon encouraged those in non-video roles to interact with customers, prospects, and leads with video. “It was cool to see how easy using Soapbox was for most of them, and we want to keep educating the team about how to use it more,” he said. 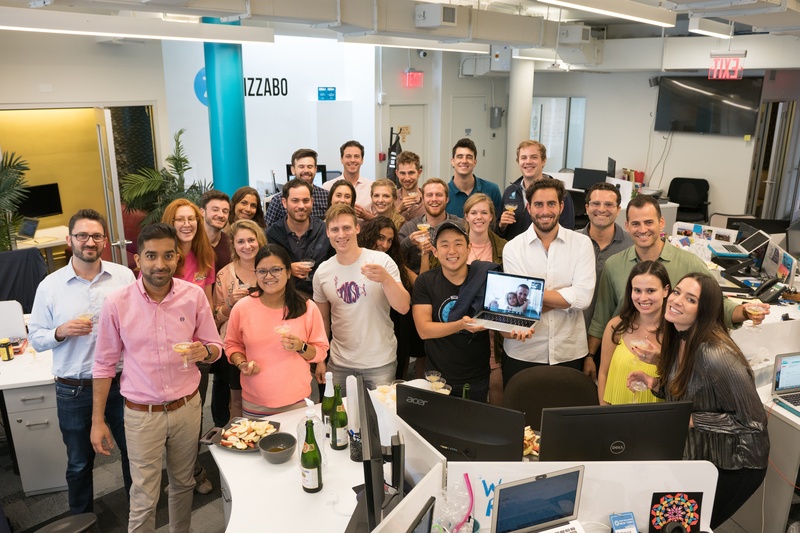 As a company divided up between 2 offices, not to mention 2 continents, video has had perhaps the most unexpected impact on Bizzabo’s company culture. Although the teams communicate frequently via email and Slack, that can only go so far. The company also uses video for onboarding purposes. 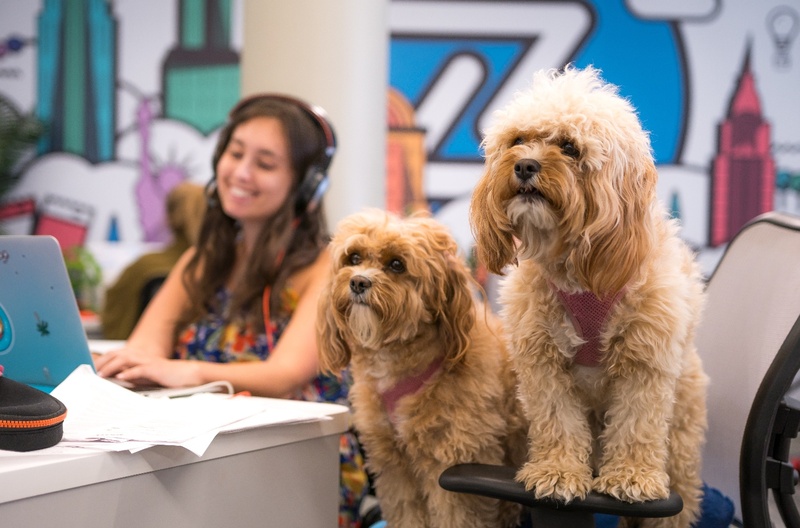 Some of the first emails new employees receive include video intros from Bizzabo’s CEO, along with videos showing off the unique office culture. “For any initiatives or campaigns we run in the future, we want video to be a part of them,” Tom said. A bold statement, perhaps. But given Bizzabo’s current video output and emphasis, it’s not entirely surprising. For Brandon, this emphasis means creating video content that’s pushing boundaries. “I want to keep experimenting with different kinds of videos and styles,” he said. One example of this outside-the-box approach? A film noir-style video the company produced in early 2017. “It was a way to grab people’s attention with a theme most of them would be familiar with, regardless of their demographics,” Brandon explained. Find Bizzabo online and on Twitter.